"Gold Indulgence Collection"Yellow Gold Pendant with DiamondsProduct DetailsThis product is 585 polished white gold.This product dimensions are approx. 51,6 mm * 60,5 mm.This product weight is approx. 16.3 grams.Diamonds 197, 1.97 carats. 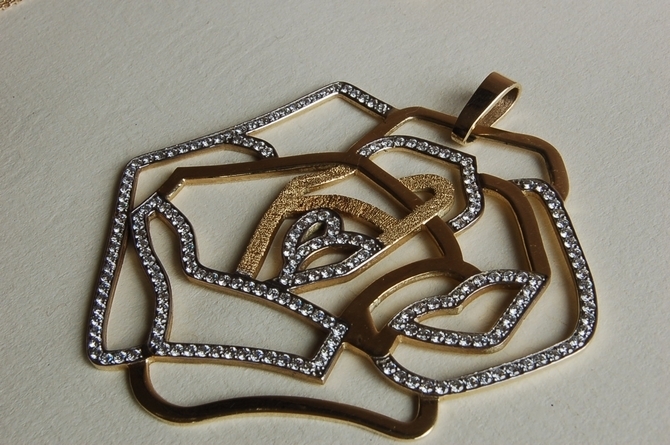 About this JewelWe are very proud about this creation. 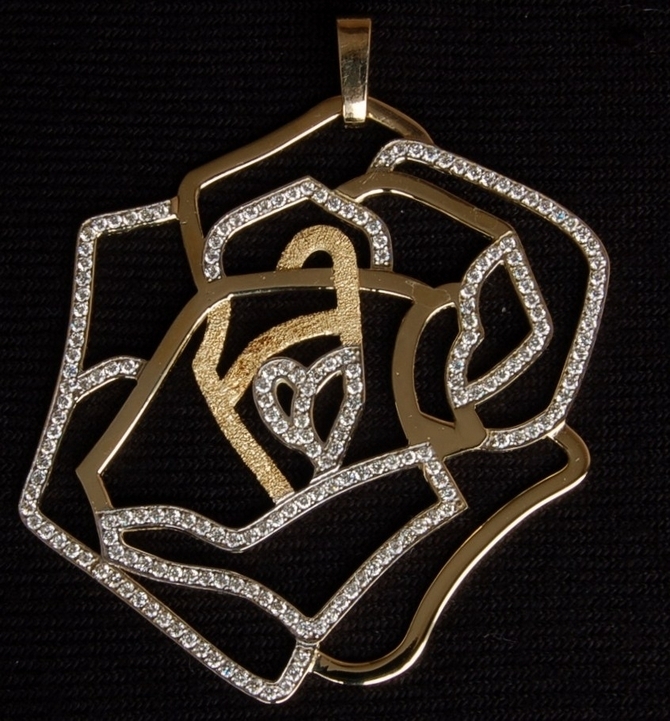 The model was designed by Goldstone Silver using advanced 3D software and then a wax cast produced. All the diamonds were then set by ourselves. It has represented a lot of work and we believe that the result is extremely beautiful. Please note that this product is made to order. Please allow a 4 week turnaround for this product to be with you. We will however advise and update you as we go along. Please also note that this product does not include a gold chain. 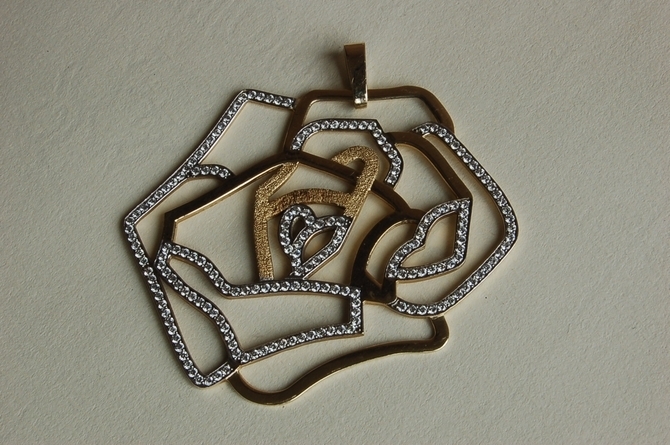 Please look for our gold chains section should you require one for this pendant.